Emulating the colourful capsules of Japanese gashapon toy machines, the Gacha series is the newest collection from Thomas Yeend Design. 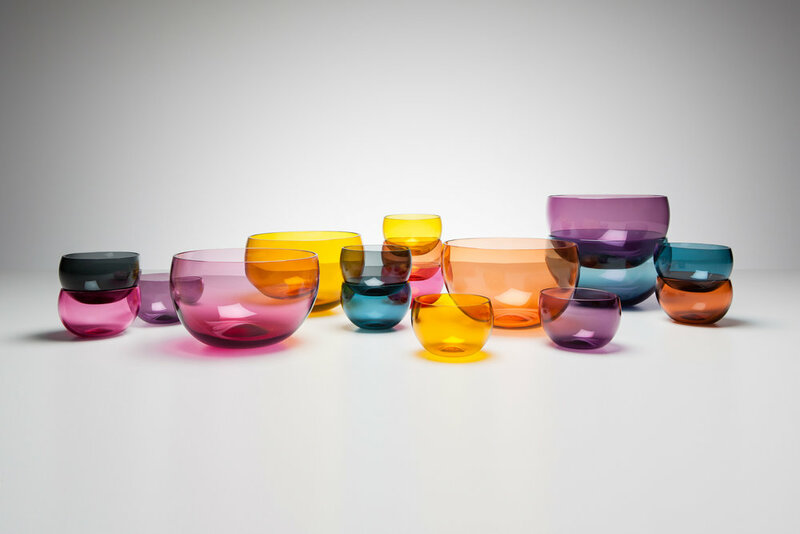 Each Gacha and Jumbo Gacha is first hand-blown, and then polished to a perfect finish, all within Adelaide's renowned JamFactory glass studio. Designed with multifunctional versatility in mind, the smaller, stackable Gacha Bowls are perfect as serving, dessert, or drinking bowls, with the larger Jumbo Gacha ideal for fruit, salad, or floral arrangements. Proudly designed and hand-made in Adelaide, Australia!